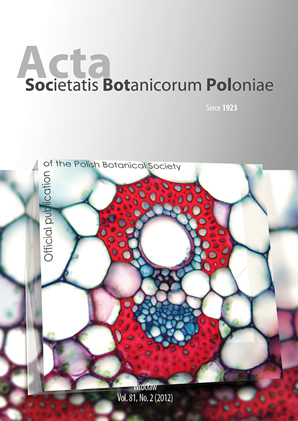 On the cover Closed vascular bundle of Ctenanthe oppenheimiana (E. Morren) K. Schum., Marantaceae, in a free-hand transverse section of the petiole, stained with safranin and Alcian blue. Bright red are the thick-walled cells of sclerenchymatic bundle sheath.